In recent years, IPS panels gained a lot of popularity thanks to tablets and smartphones. But for laptops, it was still hard to find a laptop with an IPS screen, and even harder, to find an affordable one. And even in 2018, IPS displays are still quite expensive, but their prices have dropped significantly and their quality improved. If you’re looking for a laptop with IPS screen, then you’re in the right place. We have done the research for you, and picked some of the laptops with the best screens you can find as of 2019: we have included different models, for different budgets and needs, from budget laptops to mobile workstations and ultrabooks. But before we show you our list, let’s first see why and when you should consider buying a notebook with IPS display. If you already know about the advantages of an IPS display, you can skip this part and scroll down to the list. IPS, also known as In-Plane Switching, is a type of monitor display technology used in TFT LCD panels, or Liquid Crystal Display. TFT, which stands for Thin Film Transistor, and as its name implies, is a type of LCD displays that provides better colors, contrast and black levels. There are two types of TFT LCD displays: IPS and TN, for twisted nematic. The IPS technology is not very recent, but it gained popularity among consumers thanks to the introduction of touch devices, and most importantly top the iPad, which had an IPS display back in 2011. However, IPS monitors were already used by professional photographers, artists, and graphic designers before that, and they were expensive. When it comes to picture quality, IPS displays offer excellent color reproduction and great viewing angles compared to cheaper TN panels. For example, even high end TN panels can only display 6-bits per RGB color, while IPS panels have a higher bit depth, which means a higher color accuracy. This explain why IPS monitors were always preffered by graphic designers and professionals who do color critical work. For consumers, there is another advantage offered by IPS displays , and it’s their wide viewing angles. If your screen has a TN panel, and if you are looking at it from off-center, you will notice that the colors will become more and more washed out, especially the dark tones. This is bad news if your work depends on color accuracy, considering that TN panels are not that great when it comes to color reproduction. IPS panels are also prone to “color shifting” when viewed from different angles, but it’s very minimal and for you to notice it you’ll have to look at the screen from a really extreme angle. So overall, if your laptop comes with an IPS screen, this means that you’ll have a better picture quality. Most laptops that have an IPS screen have a matte finish, which is very helpful for reducing reflections when using the laptop outdoors, or a room where there is a direct light source. However, some users prefer a glossy finish, because it makes the colors look even sharper on an IPS panel. Why should you buy an IPS panel? If you use your laptop for creative purposes (photo editing, video editing, web design….etc), watching movies and videos, you’ll want an IPS for the best viewing angles and the superior color accuracy. 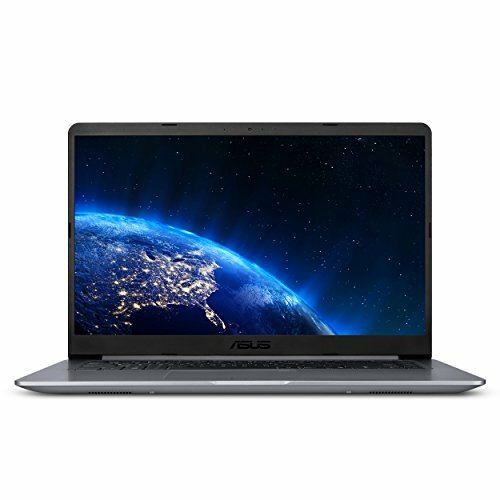 – Asus ZenBook UX410UA-AS74: 8th Gen processor, IPS display and a great battery life! If you’re looking for a powerful ultraportable with a great display, then look no further. 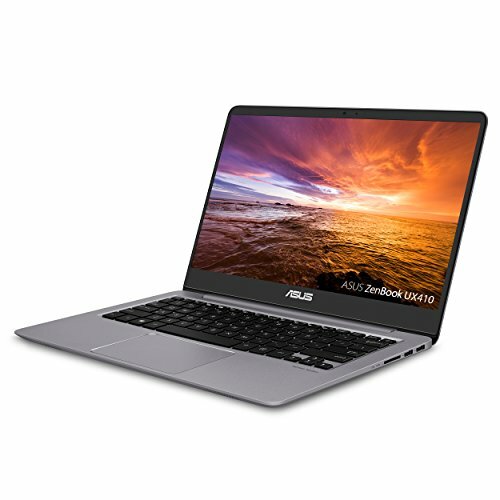 The Asus ZenBook UX410UA-AS74 should be on your short list. Asus did very well in improving the previous 2017 model (which was awesome too), and the ZenBook UX410UA-AS74 is a laptop that ticks almost all the boxes: it comes with a new 8th generation Intel i7 8550U processor, 8GB of RAM, and a blazing fast 128GB SSD + 1TB hard drive. Multitasking, working with intensive applications, and even light gaming (the UX410UA-AS74 only comes with integrated graphics) shouldn’t be a problem at all. The design is also very sturdy, and the chassis is mainly made of aluminum and plastic. The screen on the ZenBook UX410UA-AS74 has a Full HD resolution, and thanks to the IPS panel, color accuracy and viewing angles are impressive. When it comes to the color gamut, this display is capable of producing 72% of NTSC ,100% sRGB, and 74% AdobeRGB. The ZenBook UX410UA-AS74 is also a champion when it comes to battery life, thanks to the 8th gen processor, and battery optimization programs. You can easily get 9 hours of normal use. The Aspire R15 is a premium looking 2 in 1 notebook that offers solid performance. Powered by a 7th generation Intel Dual-Core i7-7500U, 12GB of RAM, and a 256GB solid state drive, the R15 is a perfect choice for daily productivity tasks, internet browsing, entertainment, image processing, and even mild gaming thanks to the dedicated graphics card. 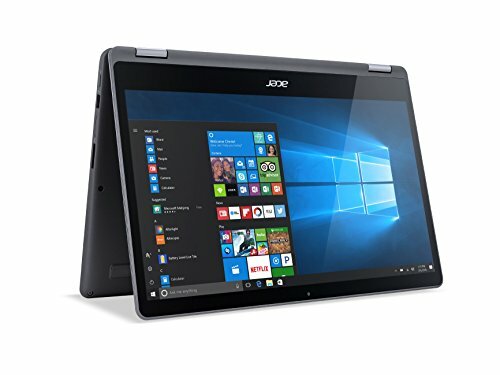 While you will be excepting to make a compromise on build quality at this price tag, the Acer Aspire R15 offers a stylish design. The chassis is made of gunmetal-gray aluminum, and is only 0.79 inches thick. The R15 also has a 360° hinge and you can use the laptop in reverse tablet, tent or tablet mode. The 15,6 inches IPS screen is particularly colorful, and has a resolution of 1920X1080 pixels. Color accuracy is spot on, the Aspire R 15 can display 110% of the sRGB spectrum. The display has a glossy finish, and while it’s not the best for outdoor use because it’s prone to reflections, it helps make the colors even more intense and saturated. 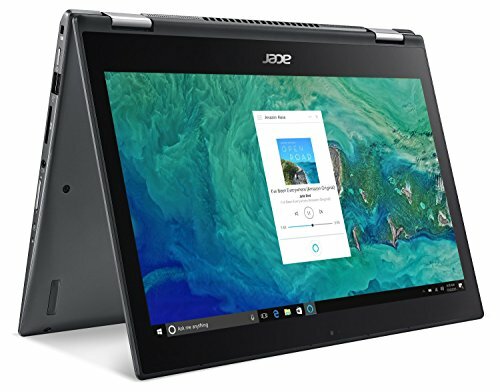 The Lenovo Flex 5 14 takes advantage of Intel’s latest 8th generation Core i5-8250U Processor, together with 8GB of RAM, and a 256GB solid state drive. The i5-8250U processor has a score of 7572 on CPU benchmark, and has a base clock speed of 1,6Ghz, but can go up to 3.4 GHz for applications that need more power. The RAM is also upgradable up to 16GB, and the fact that the Flex 5 comes with not only an SSD but a PCIe one just makes the old HDD based notebooks seem unusable. The Flex 5 comes with Intel UHD 620 integrated graphics, and thus has no ambition in being a gaming computer. Back to the screen, the reason why we included this 2 in 1 laptop on the list. The Lenovo Flex 5 has a full HD IPS screen that delivers gorgeous crisp images and great viewing angles. 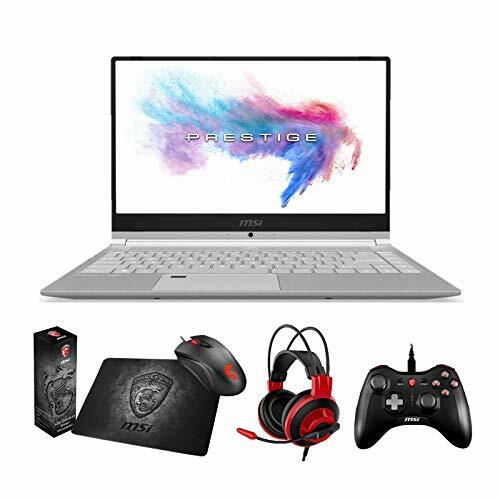 It is a perfect choice if you’re a designer looking for a an affordable laptop with a color accurate screen, but also if you’re looking for an all around laptop for streaming or watching netflix. 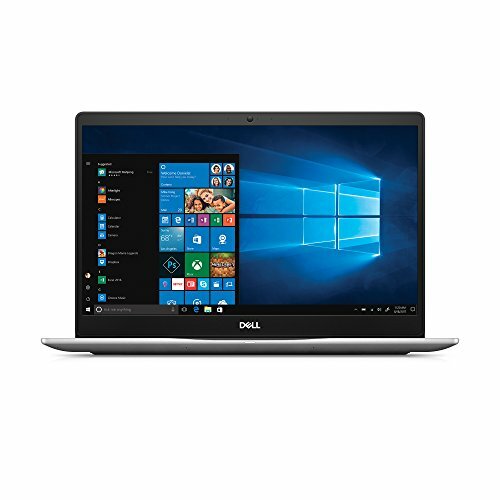 Packing the latest 8th gen i5-8250U processor, the Dell Inspiron 15 7570 is a solid all purpose laptop that combines an impressive feature set and a budget friendly price. Let’s first talk about the looks, the Inspiron 7570 has a beautiful aluminum body, and the overall design has a premium feel. 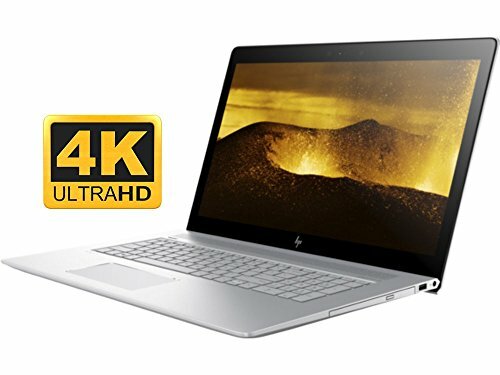 The build quality seems very robust, when compared to other budget laptops in the same price range. It is also light and slim enough to carry around, at 14.23 x 9.63 x 0.74 in and 4.41 lbs exactly. Other than the great processor and amount of RAM, the thing that makes the Dell Inspiron 15 7570 a good budget laptop for Photoshop and graphic design is its screen. While it’s not the brightest screen out there, the Inspiron 7570 has a stunning Full HD 15,6 inch IPS display, which provides accurate colors, good contrast, and excellent viewing angles. The screen has also a reflective finish that accentuates colors, but is not suitable for use outdoors. The Inspiron 7570 is also a serious budget gaming laptop, thanks to the dedicated NVIDIA GeForce 940MX. There are however two things that you should take into consideration before buying this laptop: It has a very average battery life, and it comes with a standard 5400rpm hard drive that can bottleneck the performance. The good news is that Dell provides a free M.2 SSD slot, which solves the hard drive problem if you need to upgrade. The Acer Spin 3 SP314-51-59NM is a flagship convertible laptop that has enough power to replace your desktop too. It comes with an Intel i5-8250U processor, 8GB of RAM, and a 256GB solid state drive. The fact that the Spin 3 comes with an SSD makes it more responsive and thanks to the 8th gen processor, the performance is very consistent . The 8th generation Intel i5-8250U CPU has a score of 7665 on CPU benchmark. The 14 inch IPS full HD screen is surely one of the best aspects of the Spin 3. It offers wide viewing angles and crisp colors. This is also a touchscreen laptop, and thanks to the 360° hinge you can use a tablet with the keyboard and screen back to back. However, since it is a 14 inch laptop, you probably won’t find yourself using the tablet mode that much. Battery life is above average, and Acer claims up to 12 hours of use. In practice, you can easily get about 8 hours as battery life as tests have shown. Sporting an 8th generation core i5 processor, and 8GB of RAM, the Vivobook F510UA is premium looking budget laptop with plenty of power to handle all your daily computing tasks. Weighing 3.7lbs, and with dimensions of 9.6 x 14.2 x 0.8 inches, you’d think this is a regular 14 inch notebook; but that’s a 15,6 inch Full HD screen right there. The panel, manufactured by LG, has IPS technology and a matte finish. Which makes the Asus vivobook F510UA a perfect companion if you’re looking for a laptop for streaming and watching movies. The screen has a very good color accuracy, and viewing angles are generous thanks to the IPS panel, despite being on the dim side. For more information, you can also read our detailed Asus vivobook F510UA FHD laptop review. 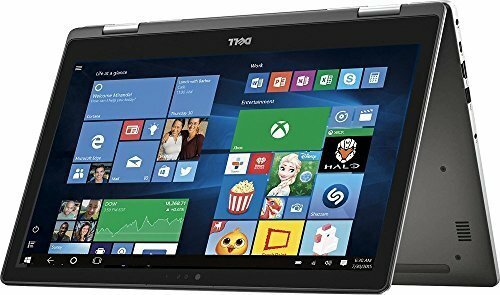 Dell didn’t skimp on any part on the Inspiron 7000, this 2-in-1 laptop comes with a slim metal chassis, back flipping touchscreen, and an SSD drive, and still manages to stay in the budget laptop price tag. Under the hood you will find a 7th generation Intel Core i5-7200U, 8GB of RAM, and a blazing fast 256GB SSD. This is definitely a must buy for those in need of a laptop for work or a multimedia device. Dell equipped this model with a full HD touchscreen. Viewing angles are great thanks to the IPS panel, and color reproduction is pretty accurate. The screen has a glossy finish and thus is not very suitable for outdoor use. As for connectivity, you will find an average array of ports on the Dell 7000: 3 USB ports, one being USB type C, HDMI, Ethernet and a card reader. The Acer Aspire 7 A715-72G-71CT is one of the rare gaming laptops that don’t come in a flashy red case. It comes with a 6 Core Intel i7-8750H processor, 8GB of RAM, a dual 128GB SSD + 1TB hard drive, and a dedicated NVIDIA GeForce GTX 1050Ti 4GB graphics card with 4GB of video memory. The 8th generation i7 processor has a score of 12490 on cpu benchmark, and can handle multitasking or cpu heavy application with no lags. 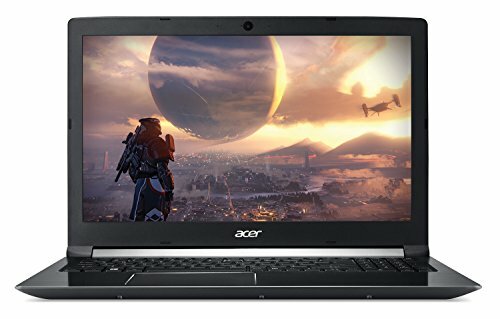 If you’re looking for a good laptop with IPS display for some light gaming, the Acer Aspire 7 A715-72G-71CT is a very good option. Gaming performance on this laptop if decent, and you can easily ran titles such as Counter-Strike on max setting. However, for more demanding titles, you will need to lower the settings. The 15,6 inch screen has a resolution of 1920X1080 and a 142ppi. This is an IPS panel, and offers excellent color accuracy and great viewing angles. The Lenovo V720 is an affordable budget laptop with that offers great value for the money. It comes with a 7th gen i5-7200U processor, 8GB of RAM, and a 256GB solid state drive. 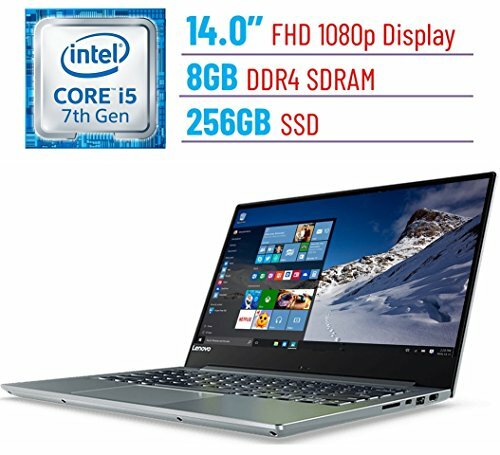 This is a perfect configuration if you need a laptop for basic home use, the i5 7200U, although not as powerful as the latest generation, can still deliver enough power for most everyday tasks. In addition to that, the included SSD makes this laptop particularly responsive. The Lenovo V720 also comes with a dedicated NVIDIA GeForce 940MX graphics card. The 14 inch IPS display is surprisingly good for the price and has a resolution of 1920X1080. Build quality is pretty decent, the chassis is made of plastic and the device is neither the lightest nor the thinnest of its class, which is totally to be expected at this price range. When it comes to laptop displays, Apple has always made some of the laptops with the best displays ever, and the 2018 Macbook pro is no exception. This laptop features a 13.3-inch IPS screen, with a resolution of 2560 x 1600 pixels , or “Retina display” as Apple like to call it. Not only does the screen on the Apple Macbook Pro MR9Q2LL/A offer extremely accurate colors, but it’s also one of the brightest out there. Under the hood, you will also find a 2.3 GHz Intel Core i5 processor, 8GB of RAM, and a 256GB SSD. 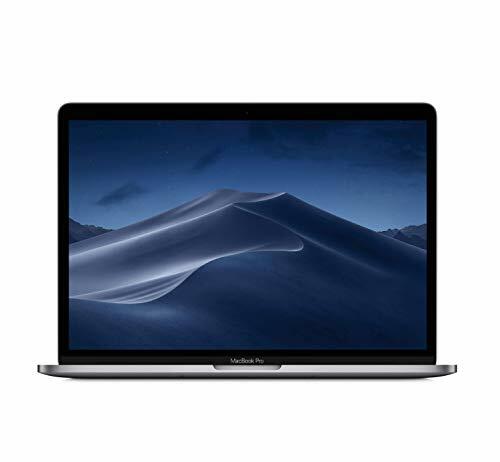 Performance is nothing less you’d expect from a Macbook pro, this laptop is perfect for multitasking and is also lightweight with a great battery life. However, a lot of users complained about the keyboard being shallow and lacking key depth. I personally do not think it’s that big of a deal, but the new Apple “Butterfly” keyboard design is either something you’ll hate or love. If you’re a creative professional or simply looking for a laptop with a beautiful 17 inch vibrant display, the new HP Envy 17t should be on your short list. It comes with an 8th generation Intel i7-8550U processor, 16GB of DDR4 RAM, and a 512GB SSD. The Envy 17t has all the power to handle can your productivity and photo editing tasks, and even some light gaming thanks to the dedicated NVIDIA GeForce MX150 graphics chip. The Envy 17t is not a gaming laptop on the other hand, so more gpu intensive titles are not possible on this laptop. But the reason why the HP Envy 17t is first on out list is not only the cutting-edge performance, but the gorgeous 17.3 inch 4K display. The display has IPS technology and is simply one of the best displays you find on a laptop. The Screen provides crisp details and vibrant colors, viewing angles are also very generous all thanks to the IPS panel. The HP Envy 17T scores an impressive 209% of the sRGB color gamut. MSI is known for building great gaming laptops, and they do that very well. But that doesn’t mean that they are not also trying to conquer other types of users. With the MSI Prestige PS42 8RB-059, the manufacturer offers a narrow-bezel 14-inch laptop for business users. The MSI PS42 8RB-059 comes with an 8th generation i7-8550U processor, 16GB of RAM, and a 512GB SATA SSD. The MSI PS42 offers consistent performance for daily productivity tasks, and even more demanding ones such as video editing. 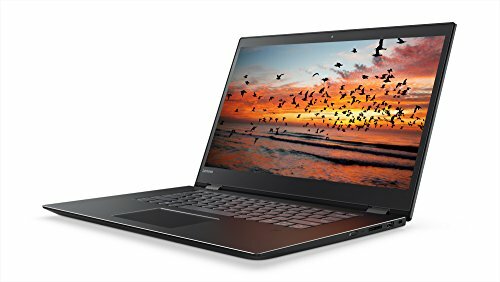 And while the PS42 8RB-059 is not the best gaming laptop you can get at this price range, it still comes with a dedicated NVIDIA GTX MX150 with 2GB memory; which means that you can still play some titles at low to medium settings; an advantage considering most ultrabooks come with integrated graphics. But one of the best things about the PS42 is its 14 inch Full HD IPS display. Display measurements reveal very accurate colors and deep contrasts thanks to the IPS panel, the MSI PS42 is perfect if you need a laptop for photo editing, or simply a multimedia machine. Battery life is very good, with more than 8 hours in real world use. And there is another which I personally love about this laptop, and it’s the amount of ports; the PS42 has 2 USB type C ports, and 2 USB 3.1 ports; quite a rarity these days among ultrabooks. I assume that you are talking about the “Asus TUF FX505DY” featured here : . This laptop is indeed equipped with an entry level IPS display. Compared to many budget gaming laptops, this model has a great screen: good contrast and viewing angles, and good color reproduction. But keep in mind that this is a budget IPS panel, and there are a few cons, such as poor brightness.